The lawyers for Chilina Law Firm operating out of the Atascadero, California Office focus their legal practice on and work for residents of Atascadero, California who have a legal matter in estate planning which includes wills, trusts, powers of attorney, medical directives and more. 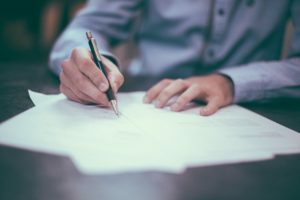 The attorneys at Chilina Law Firm work with their individual Atascadero, California clients on legal matters in the areas of probate and trusts both in the administration and litigation context. At the Chilina Law Firm, we understand that the decision to seek the advice of a lawyer is personal to each client. As such, the attorneys at Chilina Law Firm pride themselves on working closely with clients, on communicating effectively with the client during the entire legal matter, and aim to lessen the financial burden on the client by providing high-quality legal services at an affordable rate.